One of the most memorable Aliens tales ever told, now available as a premier-edition hardcover! When the most pious crewman aboard the Nova Maru is forced to abandon ship with his mad captain, the two are marooned on an inhospitable and remote world?and they?re not alone . . .
*Back in print for the first time in over a decade! 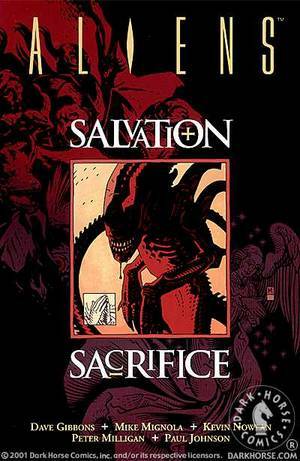 *Deluxe hardcover format with a new cover by Mike Mignola!